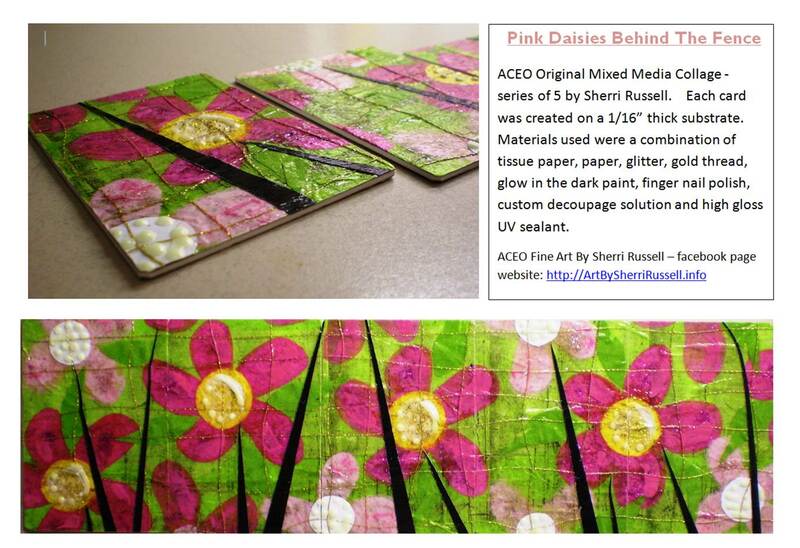 ACEO Original Mixed Media Collage - series of 5 by Sherri Russell. Each card was created on a 1/16” thick substrate. Materials used were a combination of tissue paper, paper, glitter, gold thread, glow in the dark paint, finger nail polish, custom decoupage solution and high gloss UV sealant. This entire set is now SOLD out! 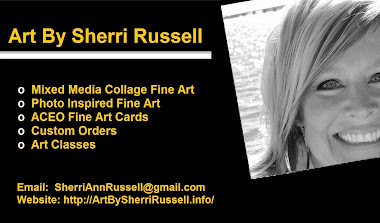 check facebook for more cards not shown on this website - click on facebook link on upper right hand side of this website.